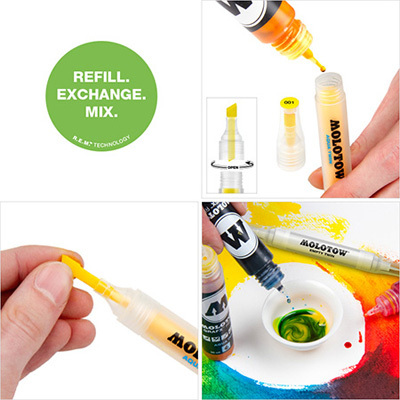 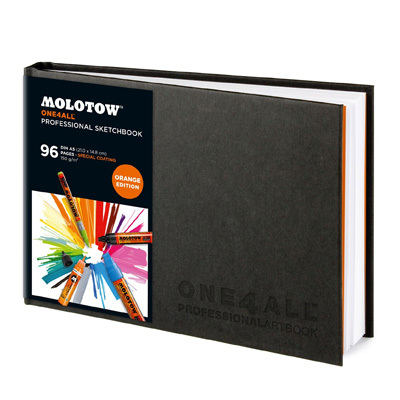 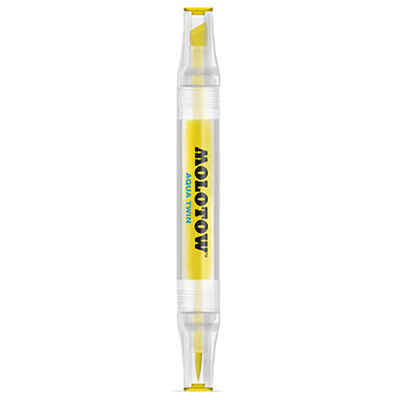 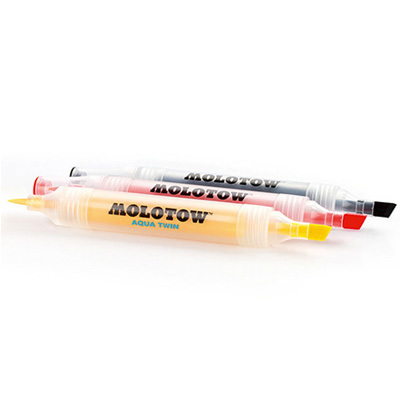 The refillable Molotow Aqua Twin Marker is ideal for bulk consumers and perfectly suitable for all design, watercolor and graffiti applications. 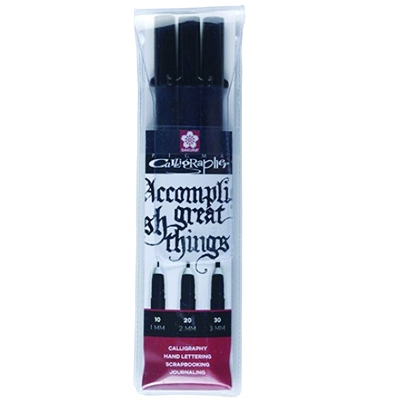 The exchangeable Soft Brush tip ensures a genuine brush feeling, the Broad Tip is great for more extensive gradients. 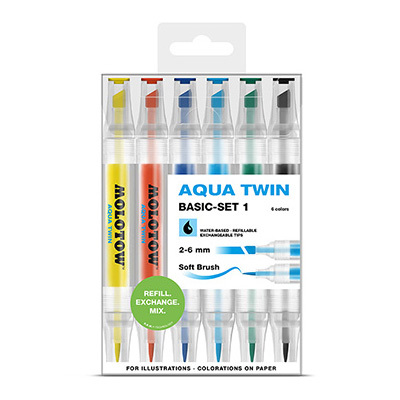 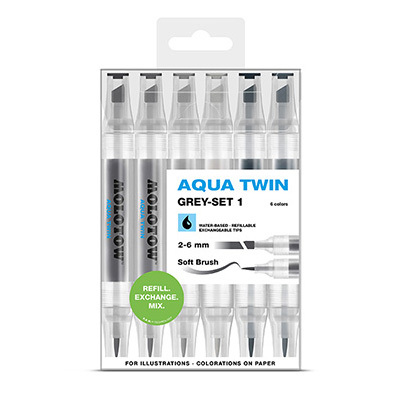 Soft-edged 1mm brush tip and 2 - 6 mm broad tip (exchangeable), color intense water-based special ink, water-soluble, refillable. 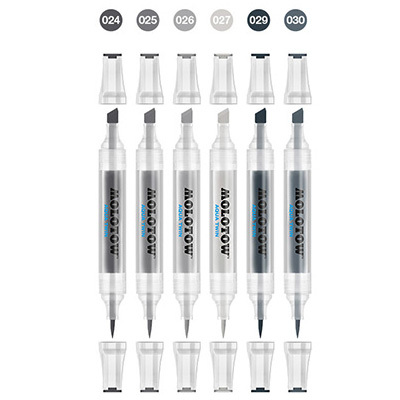 Here the Grey 1 set of 6, including the six grey shades.